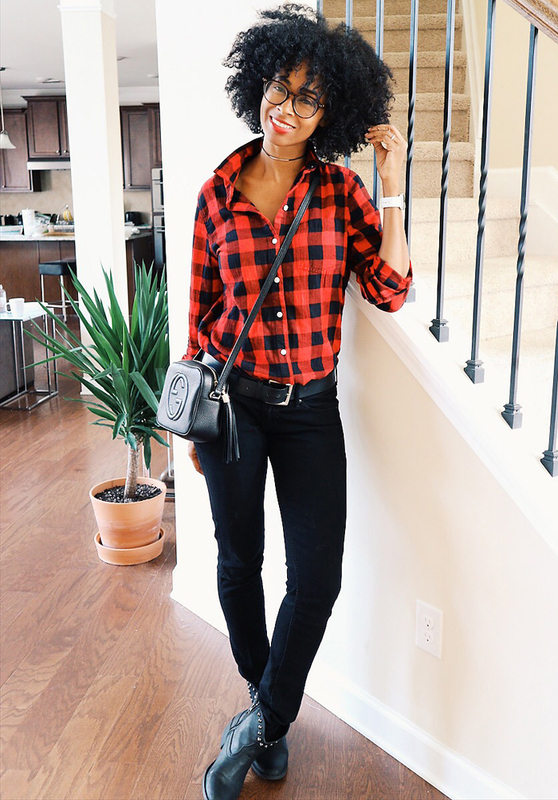 I have about 6 plaid shirts in my closet, and I always look forward to wearing them in the fall/winter. Of course, plaid can be worn all year around, but all of my plaid shirts are flannel--so that would be a no-go for the warmer seasons. 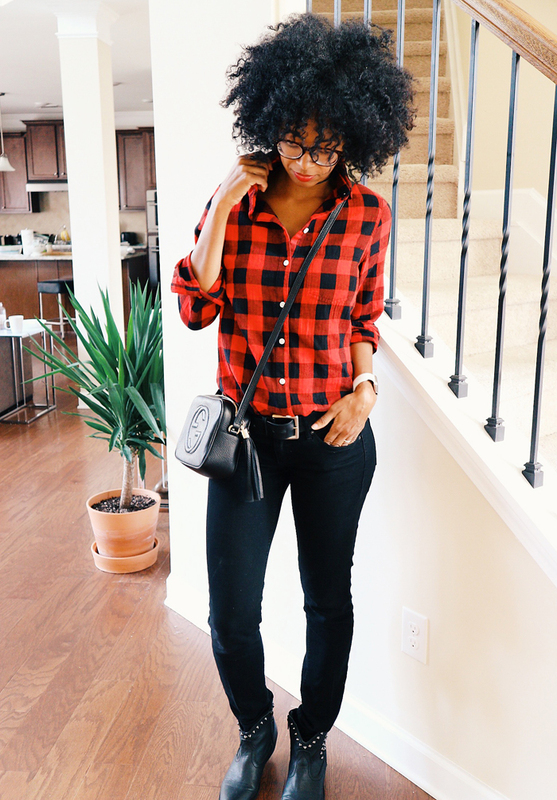 Anyway, one of my fave plaid styles is "buffalo plaid". It's a classic with a bit of edge and makes me feel oh so hipster-ish. Paired with skinny jeans and ankle boots, makes for a chic casual ensemble. By the way, I snagged my buffalo plaid shirt from Old Navy. They are out of the red buffalo plaid, but have it in cobalt blue and it's on sale for $6.99! Thank me later! Awesome!!! Love the look Nik! I don't have any plaid shirts! I absolutely love that bag!